State of the industry capabilities are a source of pride for Hullett Machine. CNC Veritcal Machining Center with 21-tool change. Machining cap has 40" X axis travel, 20" Y axis travel, and 12" height travel. Handles plates 24" wide x 5' long. Close tolerance, repeatability, precision machining. Sharp Vertical and Horizontal Mill. Large table cap, 36" X axis travel, 12" Y axis travel, capable of vertical and horizontal boring and face milling. Large keyway, drilling, tapping, large plate work, and large piece work. (5) Vertical Knee-Type Precision Milling Machines with digital readout to .0005". 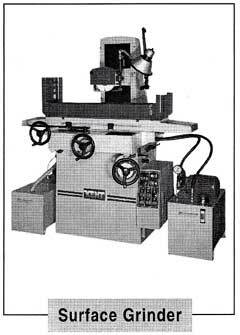 Drills, taps, bores, rotary table work, angle plate work, precision tooling and fixture work. (2) Surface Grinders for precision grinding. Table cap is 8 x 16 with 12" height. 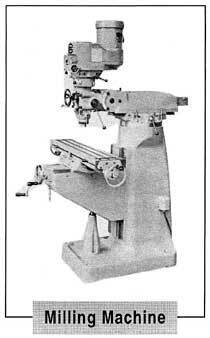 (1) DCM Rotary Surface Grinder with 18" table and 6: Z axis. NOTE: 4 lathes have center spindle holes of 3.125" diameter to and accept long or odd-shaped shafts. Threads are American Standard and Metric, O.D. 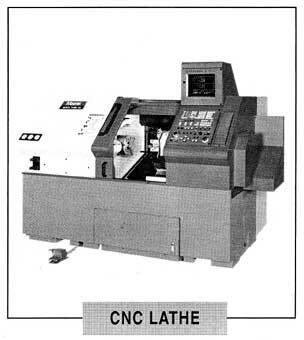 and I D. All lathes have digital readout to .0005". Lathe Chucking Cap, 3 jaws up to 12" diameter, 4 jaws up to 16" diameter, face plate holds any odd-shaped part. Welding capabilities for steel, stainless steel, aluminum, cast iron and bronze. Wire Feed Welding, hot roll cold roll steel, shafts, tubing, weldment frames. Electrode Arc Welding for stainless steel, alloy steel, cast iron. Pressing bushings and bearing in and out. Some of the more infrequently used machining-related services would only drive up our overhead cost if we offered them inside our shop. Instead, we've discovered that we can control cost more effectively and still maintain Hullett's high quality standards - through our special working relationships with selected outside vendors. We handle all the details when procurement is required.